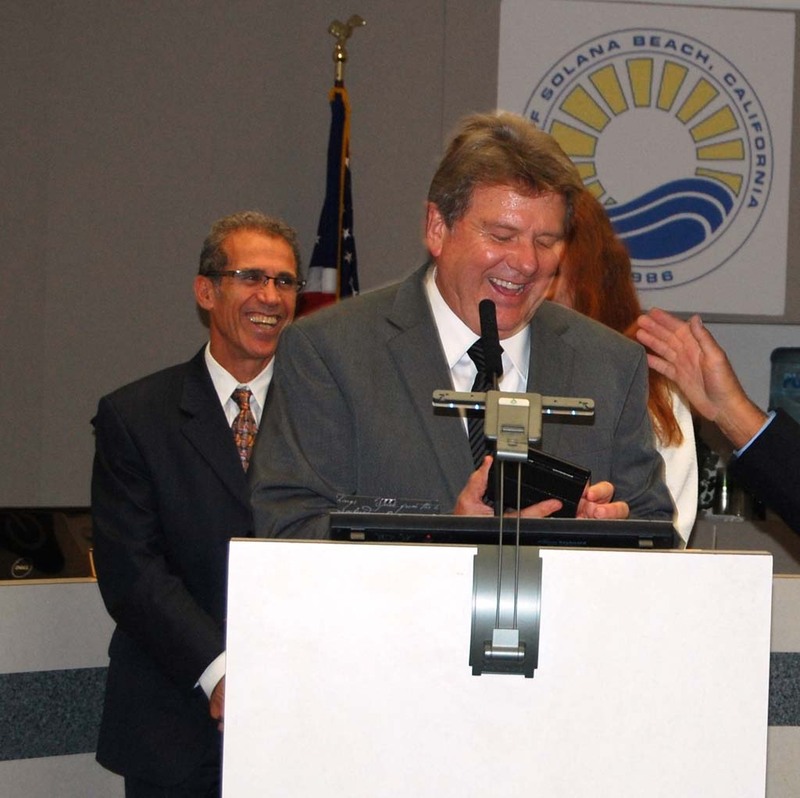 SOLANA BEACH — Lauding him for his professionalism, dedication and leadership, the City Council, staff and community members honored David Ott during the Nov. 19 meeting, which he claims was his last as city manager for the county’s second smallest city. Ott, 60, announced in 2010 that he would retire that December. Before the end of the year he agreed to act as the interim city manager but returned to the position full time by the end of 2011. He accepted a two-year contract with an option for a one-year extension, which put his tenure at the end of this November. “It’s for real,” Ott said when he announced his current retirement plans in May. A replacement has not been found. Ott has been working in the public sector for about 42 years, beginning his career as a wild-land firefighter for the U.S. Forest Service. He then served as a firefighter at Camp Pendleton and in Coronado before becoming the operations chief and assistant city manager in Imperial Beach. “You’ve probably seen how well I did that,” he added. Later that year he was named fire chief for neighboring Del Mar, a position he held until October 2009. 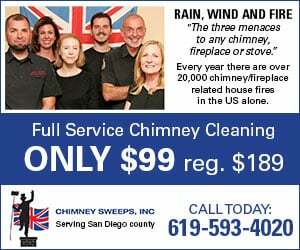 While still acting as fire chief for both cities, he became deputy city manager for Solana Beach in 2005 and city manager the following year. Those achievements include restructuring the pension debt for $1 million in interest savings, negotiating law enforcement contracts to control costs and saving money by consolidating the fire agencies of nearby cities. Additionally, Ott helped revitalize the 50-year Army Corps of Engineers beach nourishment project that is ongoing and oversaw the Coast Highway 101 improvements that “came out better than we ever anticipated,” Campbell added. He was also instrumental in developing Fletcher Cove Park, renovating the adjacent community center and overlook park and replacing the Del Mar Shores beach access stairway. “Got creative,” Campbell said. “Found some money. Got it done. Great job. Lesa Heebner, the self-described “emotional one on the council,” was on the brink of tears as she presented Ott with gifts that included an oversized key to the city and gift certificates to Solana Beach restaurants. He also received a photo of the entire staff from Wendé Protzman, who will serve as interim city manager until a replacement is found. Resident Gerri Retman thanked Ott for his open-door policy and always being available to the residents “because you know how pesky some of us can be,” she said. “I really didn’t expect this at all,” Ott said, adding that he is “blessed as a city manager” to work with a passionate council, great staff and supportive community. “This is a council that really cares about their community, and what better job for a city manager to have,” he said. “It’s easy to work for something like that. “I’m really proud of the staff,” he added. “I appreciate their loyalty, not just to me but to this great community. Ott also thanked his wife, Nancy, for putting up with the countless hours he worked and taking his computer on their infrequent vacations. The more than 30-minute recognition, during which Nov. 19, 2014, was declared David Ott Day in the city, ended with a standing ovation. Council members held three closed-session meetings, including one on a Sunday morning, but did not reach a consensus on a candidate from the applicant pool presented so the search for a new city manager continues. Protzman served as interim city manager in the Northern California city of Atherton before coming to Solana Beach in 2008 as deputy city manager.